Are you a HVAC engineer looking for a sophisticated resume guideline for your next job interview in a high profile company? Well, you can count on this HVAC Resume Template here that goes straight to the point by starting with your solid job objective, education and work experience in chronological order. Then, it comes down to your profile, academic projects done, skill set and languages. 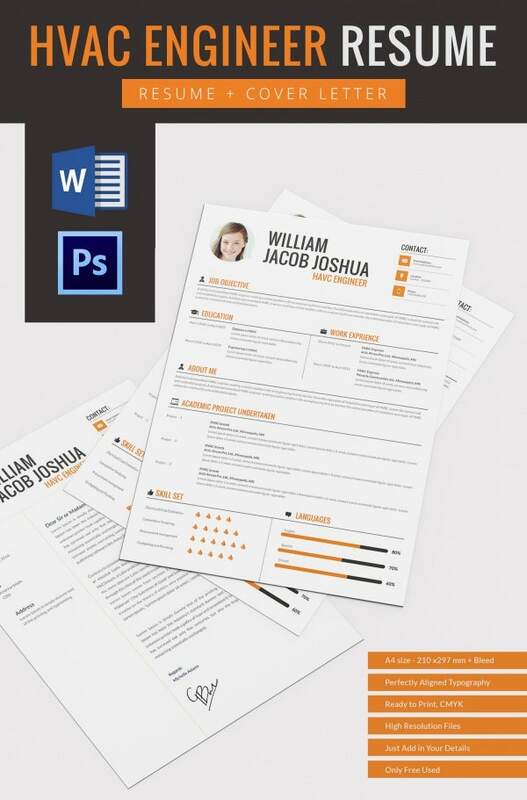 This resume template would be great for those who finished their school only sometime back and are on their way to gather experiences in the professional field. 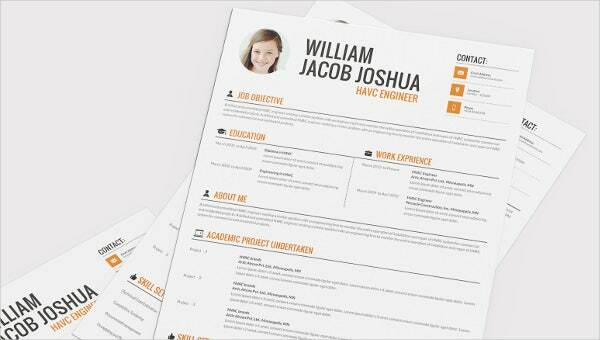 The template bundle even includes a cover letter sample. Both the files are high-resolution files.